Technology is inherently constantly evolving and changing. It's one of the most exciting and challenging parts of our industry; it's something that drives and pushes us to develop better products. 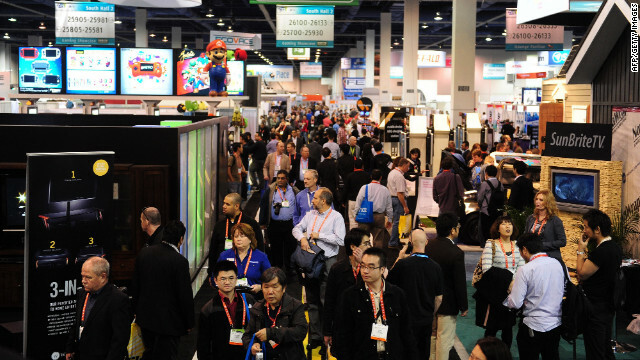 The International Consumer Electronics Show in Las Vegas is one of the most thrilling times for the industry. It's the place to see all the latest and greatest developments in action. I've found the best way to describe CES is a controlled chaos. The Las Vegas Convention Center feels electric between the mayhem of flashing lights, brilliant screens, bright ideas and throngs of people. Exhibitors from all around the world come to partake in the atmosphere of innovation. The energy is high, and every year the advancements in technology are astounding. One of the major technology shifts I'm most excited about, and anticipate will be an important trend at CES 2013, is wireless connectivity, especially as it relates to music. From music in the cloud to the convenience and freedom that a wireless connection can bring to your daily music experience -- something that consumers need to experience for themselves to fully understand the benefits of -- we're on the cusp of a consumption transformation for consumers that will only accelerate as we move into 2013. Cloud storage is already emerging as a key music trend in 2012, and it's set to accelerate in the coming year. It's becoming so popular in fact, that CES will be introducing a new showcase dedicated to exploring the cloud and new developments surrounding it, dubbed Cloudbase 3. I'm sure it will be heavily trafficked as show-goers explore new services and apps to find the next big thing. From Apple to Amazon, more and more music providers are touting the benefits of storing music in the cloud so it can be easily shared amongst your various mobile music devices. For me that means that my iPhone and my iPad always have my latest music purchases synched without me having to lift a finger. In addition, thanks to apps like iHeartRadio, Pandora and Spotify, I'm discovering new music I would never have had access to before and listening to it instantly. Those are just some of the benefits of music in the cloud. Let's turn our attention now to the benefits of wireless connectivity in the way we listen. From speakers to headphones, using wireless technology in devices also helps protect consumers from hardware and platform specification changes. When Apple introduced the new Lightning adapter in September, iPhone 5 users were faced with compatibility issues with any hardware they were previously using, such as docking stations on their favorite speakers. With Bluetooth connectivity built into listening devices, not only is this problem non-existent but platform compatibility essentially becomes a non-issue. No matter what platform you prefer -- iOS or Android, as long as there's Bluetooth built in, users can all pair their smartphones, tablets or other devices with the same speaker, creating a whole new meaning to the concept of sharing music. In the past, people have argued that a wireless connection diminishes the quality of sound from speakers and headphones, but I disagree. Most of the music we listen to today on our MP3 players and smartphones is already compressed, and tech innovators are quickly finding ways to incorporate high fidelity sound and wireless freedom into their audio products. For example, forLogitech UE's new wireless speakers and headphones, wireless listening no longer means sound-quality compromises. We've optimized the wireless signal using the highest quality codecs, advanced digital signal processing and our robust Bluetooth implementation for reliable connectivity, enhanced range and longer battery life. Given the rapid rate at which technologies change, we at Logitech UE love the idea of creating a platform-agnostic product, especially one you can both connect to wirelessly and experience phenomenal sound reproduction. 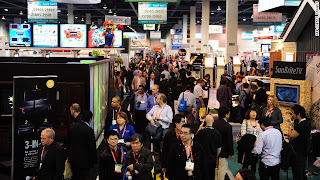 I'm excited to see what emerges from this year's CES show, from expanded adoption of wireless connectivity to cloud technology and everything in between.